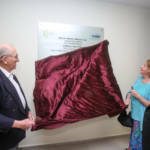 Donors Marlene and Barry Berelowitz snipped the inaugural ribbon at the new high-tech wing at Singalovsky Sci-Tech School inTel Aviv, opening a world of high-tech hands-on learning to 600 students a year. 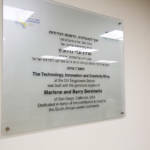 The Technology, Innovation and Creativity Center became a reality when the Berelowitz’s partnered yet again with Israel Sci-Tech Schools, largest charter school network in Israel, and the Tel Aviv Foundation (allied with the Tel Aviv Municipality). 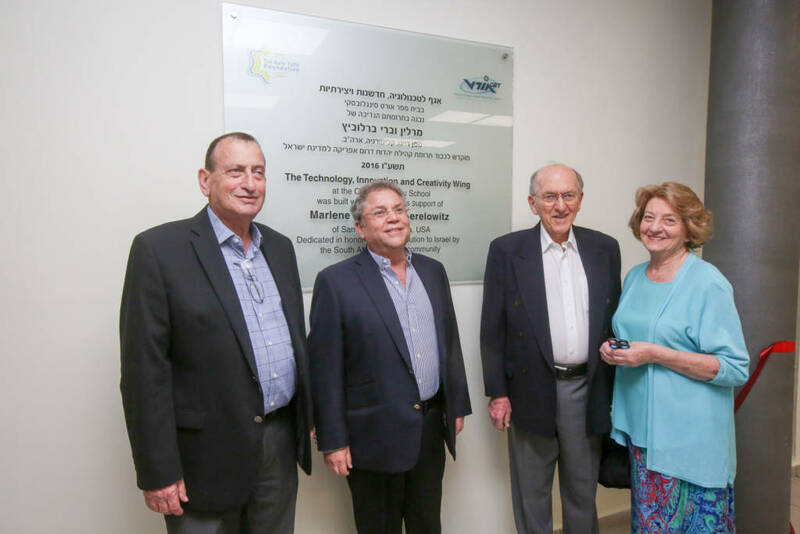 Long-time supporters of Israel Sci-Tech Schools Network, Marlene and Barry Berelowitz (above right), inaugurated the new wing. 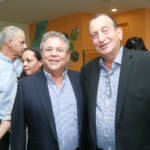 Ron Huldai (left), mayor of Tel Aviv and Zvi Peleg, Director-General of the Network, were keynote speakers at the ceremony. Three outdated classrooms were transformed into cutting-edge laboratories, one for multimedia students and two more for various purposes. Marlene and Barry are South Africans living in San Diego, USA, and Barry is on the American board of directors of Friends of Israel Sci-Tech Schools in the USA. 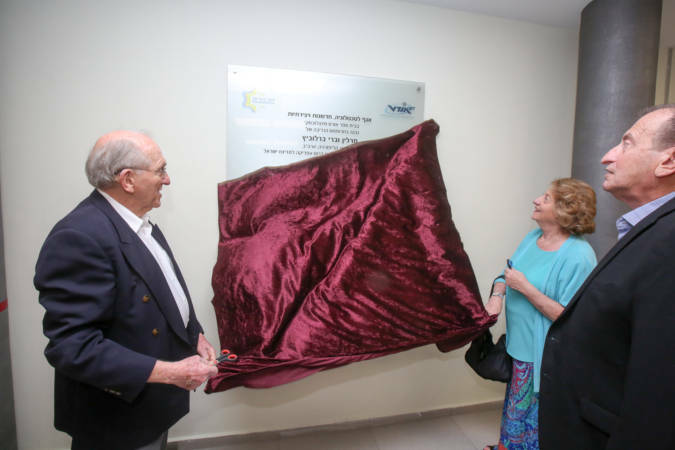 They dedicated the new Center to the South African Jewish community. Their various projects reflect the Berelowitz’s interest and devotion to the 207 schools and colleges of Israel Sci-Tech Schools Network. “We believe strongly in the Rambam’s words, that we need to give young people a trade or profession so that they can be self-supporting. That is why we invest in Israel Sci-Tech,” said Mr Berelowitz in his speech. The Network’s slogan says it well: We are building the future of Israel, and we are doing it thanks to partners like the Berelowitz’s. The school was established in 1949, the first high school established in what has become the leading science and technology education network in Israel. The Network’s mission is to promote advanced technological and scientific studies to prepare the next generation of high-tech professionals. The Network also exports education to the likes of the United States and Russia. Over the years, some of the top leaders in the field of technology have graduated from Singalovsky Sci-Tech and other Network schools and colleges. Youngsters matriculate with strong technological and scientific skills, entering good positions in the IDF, continue to higher education and industry. In Israel there is a great shortage of highly qualified science and technology professionals in the IDF and industry. Philanthropists Marlene and Barry Berelowitz unveil the plaque at the new wing. Classrooms of the future: We designed the high-tech laboratories with chairs on wheels, ideal for hands-on, project-based learning (PBL). That’s 21st century education! 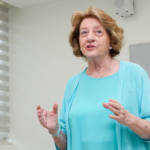 Marelene Berelowitz spoke about the love of South African Jews for Israel. 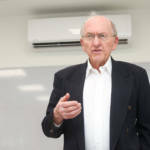 Donor Barry Berelowitz explained his motivating force, the Rambam’s principle, teach a person a trade or profession and he will be self-sufficient. 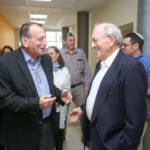 Tel Aviv Mayor, Ron Huldai, celebrates the new Center with donor Barry Berelowitz. 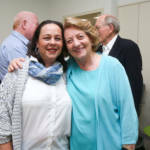 Principal of Singalovsky Sci-Tech School, Smadar Zeller, with Marlene Berelowitz. 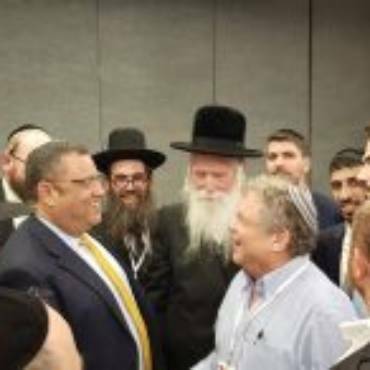 Close friend and supporter, Mayor of Tel Aviv (right), Ron Huldai, with Zvi Peleg, Director-General of Israel Sci-Tech Schools Network.